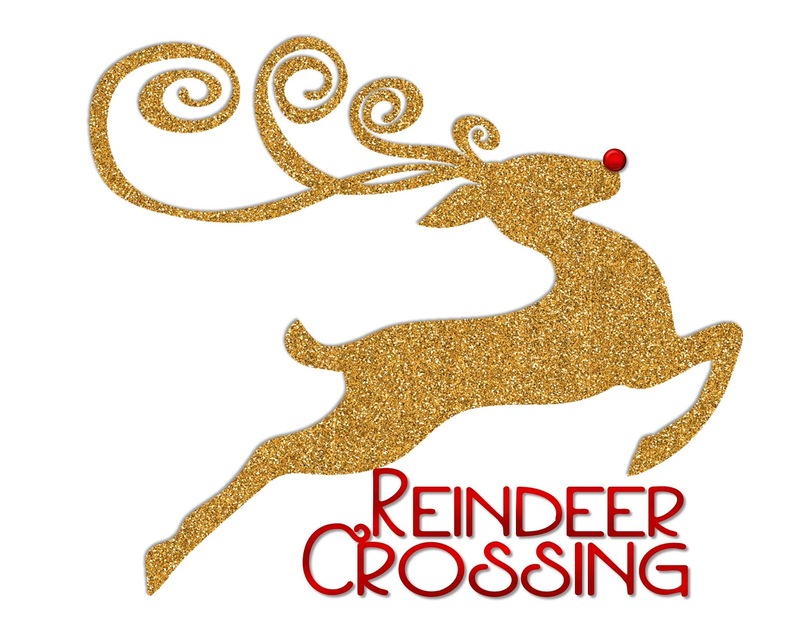 It's Sunday and time for a new Freebie! 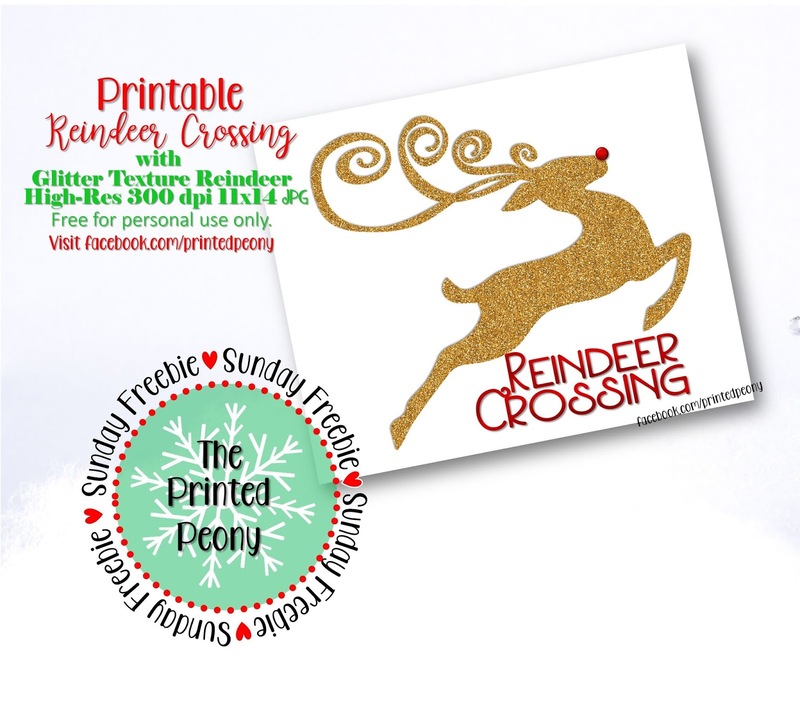 This week's Sunday Freebie is a Reindeer Crossing Printable. 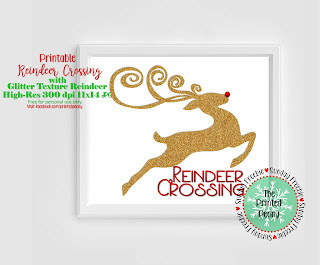 This 11x14" 300 dpi high resolution jpg features a whimsical leaping reindeer in gold glitter texture and the words Reindeer Crossing in shinny red lettering. 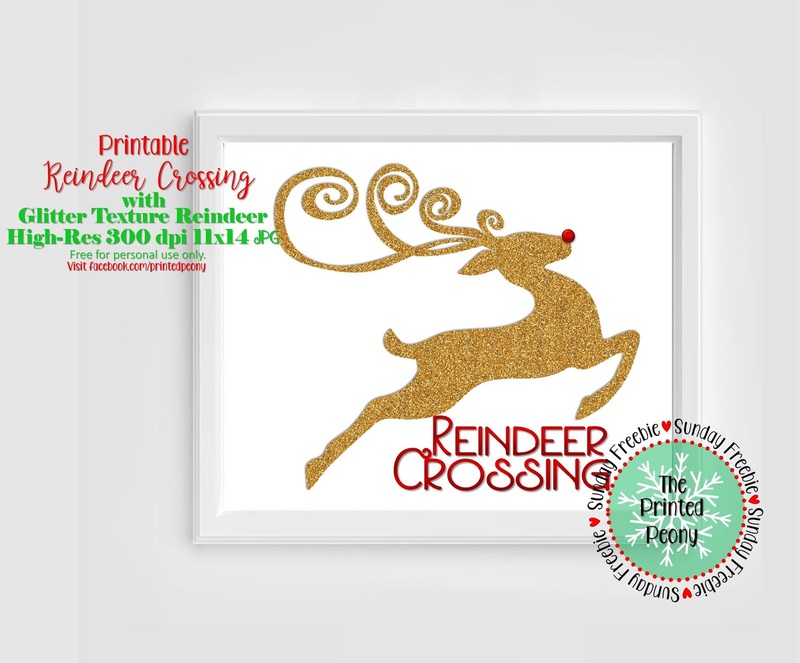 In addition to framing this printable also makes an excellent placemat for the children's table at your holiday gathering. 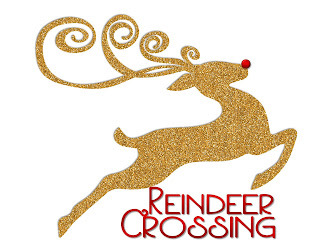 To use as a placemat we recommend using water resistant paper available at most office supply stores or laminating it for repeated use. 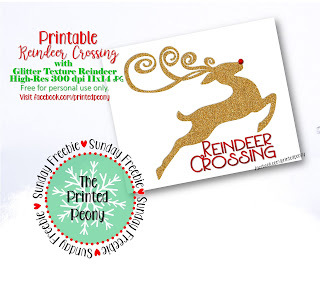 Don't forget to check back this afternoon for today's 12 Days of Freebies printable!